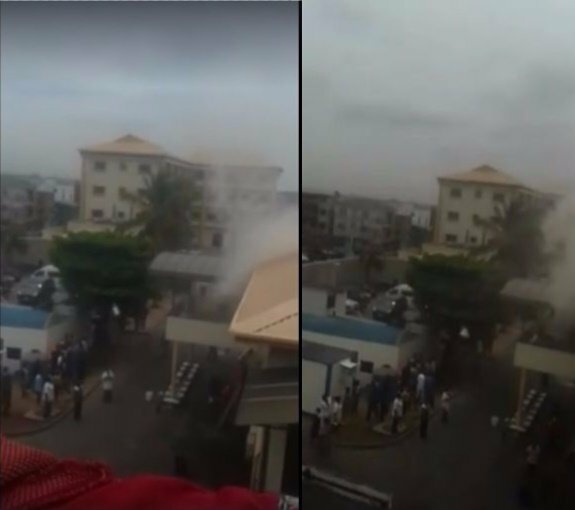 Photos and Video;Fire Outbreak at Oba Of Lagos Rilwan Akiolu's palace! 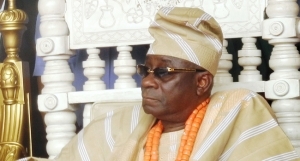 According to Media reports, there has been a fire outbreak at the palace of the Oba of Lagos, Oba Rilwan Aremu Akiolu. Firemen have reportedly been dispatched to the scene .. Channels News says they contacted the palace and were told that it was a minor fire, which did not affect the main sections of the palace. See eye witness videos shared on social media below..
Everybody knew that the Irunmole's won't let it slide "@SubDeliveryMan: Fire at Oba of Lagos palace pic.twitter.com/rPPhmaDLEk"